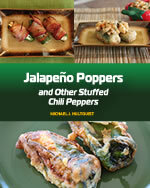 We already know you love jalapeno poppers, but what if you also love some of life's costlier gusto? 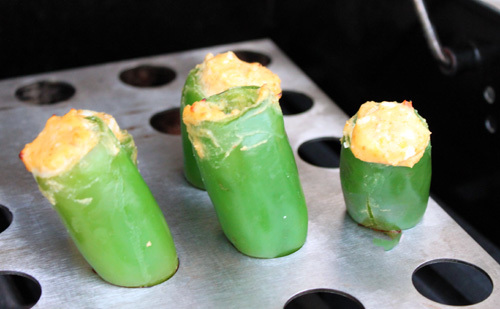 We have the poppers recipe for you. We've experimented with some interesting jalapeno popper stuffing combinations, and this one came out great. The aged cheddar is quite sharp, and when paired with the Chardonnay jalapeno mustard, your tongue will know you have a winner. In a mixing bowl combine cheeses and mustard and mix well. Stuff jalapeno peppers with 1 ounce each. Set peppers upright in your pepper griller. 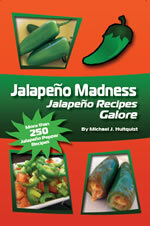 NOTE: We made this with our handy Happy Jalapeno Grill, which you can purchase through our site. 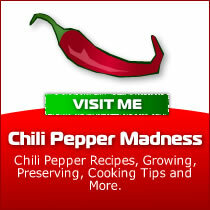 Purchase here and you also receive our Grilling Time ebook free!